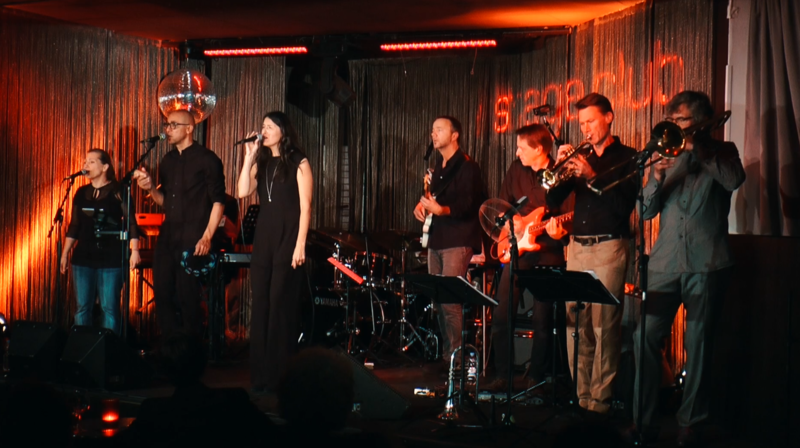 We finally get to go on a field trip again – the whole band will be at Jazz Club Minden on Saturday April 20th. So much looking forward to that! To be able to fit the band in one car for a change, we’ll be trying something different this fall. Coming up are two concerts as a trio. Next to my favorite bass player Lars Hansen, fantastic guitarist Mirko Michalzik will be joining us – with instrument and voice, which is truly a special treat. October 19th we’ll be premiering at the lovely Landgasthaus Bönstrup up north, and on November 15th you can find us at the notorious Uns Dörphus Hörsten. Looking forward to this more quiet but no less groovy, and also very intimate, setting. It’s going to be brilliant! Look forward to a fantastic band – I am looking forward to seeing you there! Here I am in THE classic women’s magazine in germany, BRIGITTE. Thank you, Stephan Bartels, for 5 Bs! 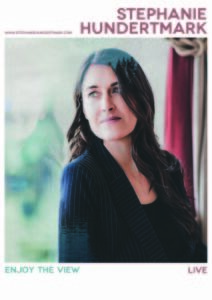 Falling in love can be a downside in one’s career, like for instance Stephanie Hundertmark. She was planning her new album when she met her future husband, and suddenly creativity ran dry, because unfortunately she was too happy. 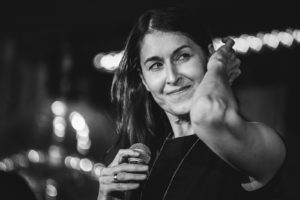 Meanwhile the 49-year-old Hamburg Singer-Songwriter has overcome this problem – and produced a record in a basically sunny mood. “Enjoy the View” is jazzy, poppy and has a smooth and gentle groove. And her husband played bass on two of the tracks. This is as good as it gets! 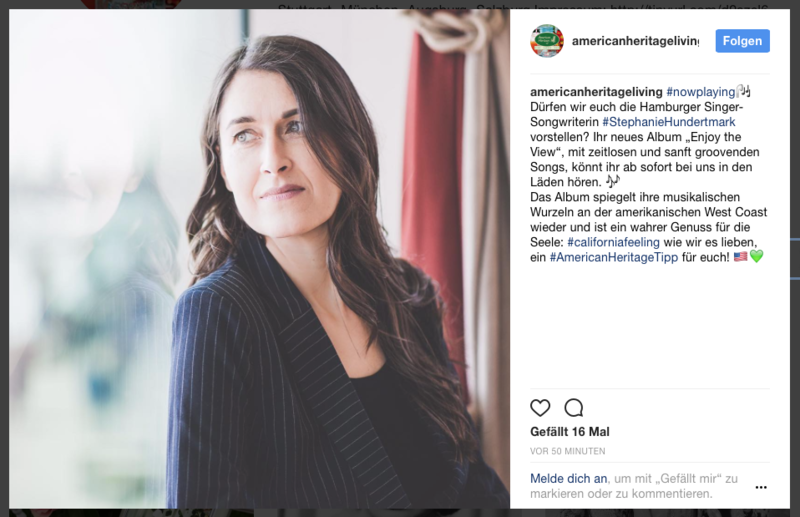 As ‘Enjoy The View’ is truly native-american, we have been honored by the fact that it is available for purchase in the wonderful stores of American Heritage in Germany and Austria. This is a really special kind of support – thank you, Sabine Ryan, for making this possible! Check out their lovely merchandise in Augsburg, Munich, Salzburg, Stuttgart or Hamburg – while I’m singing! Here’s the translation of their Instagram-Post: May we introduce to you singer-songwriter Stephanie Hundertmark from Hamburg?! 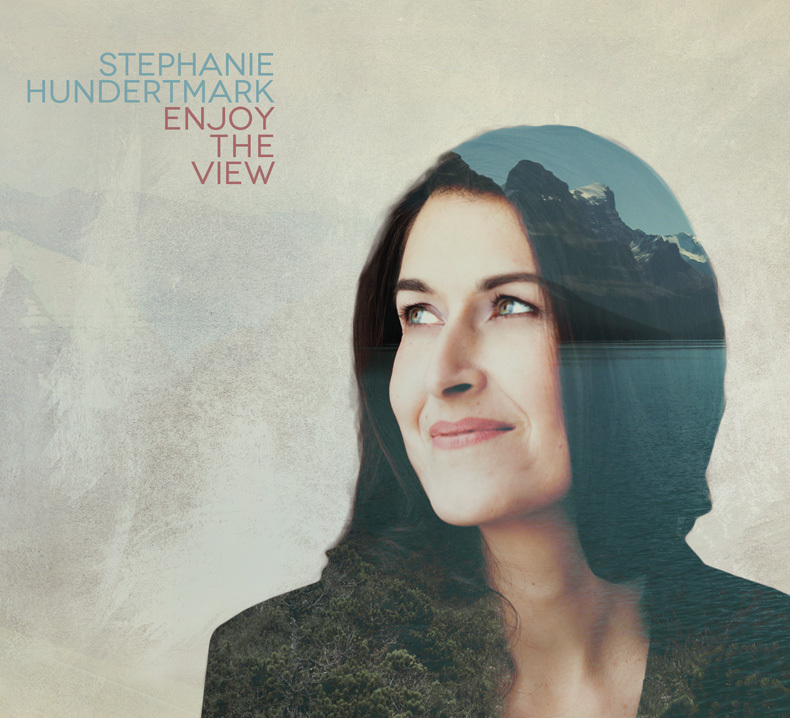 Starting now, you can listen to her new album “Enjoy The View” with timeless, softly grooving songs in our stores. 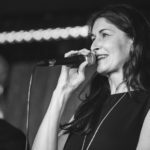 The album reflects her musical roots in the american west coast area and is true pleasure for the soul. California Feeling as we like it, an American Heritage Tip for you! Friday evening, May 5th – for a short moment, the album reaches number 4 in the Itunes-jazz-charts! Thank you Timm at Ambient Domain for noticing! 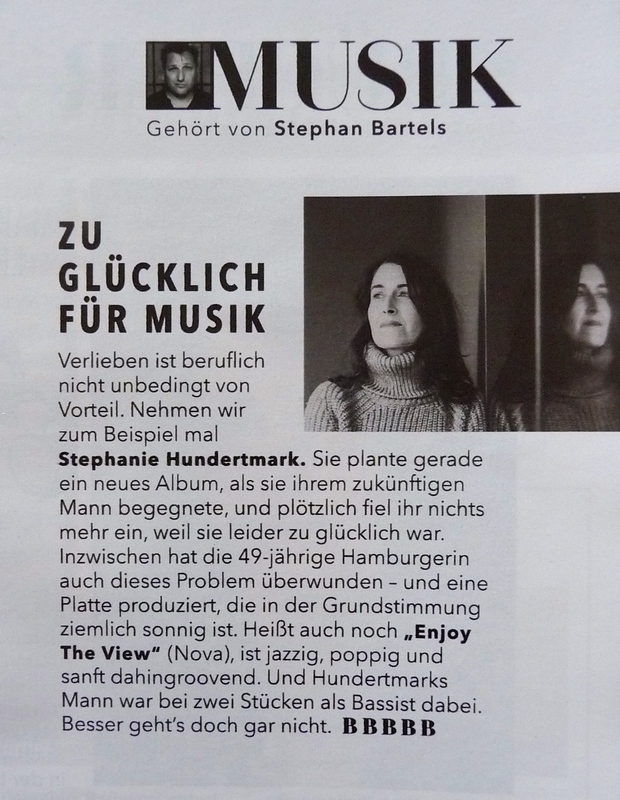 And then there is this nice review in Schall-Musikmagazin, a german magazine about german music. Thank you Grit Brugasch! Considering this album would not exist like this without Paul, it’s only fitting that it contains one of his fine compositions. Featuring him on guitar, naturally, and beautiful backing vocals. By the way, the album is available for preorder on amazon now!!! And, like I said, I’m really proud of the result. What’s more, I can already state that without the help of Timm and Ansgar at the Label AMBIENT DOMAIN and especially Hasko Witte (who’s in a way the one to blame that I recorded this album in the first place) I would have been quite at a loss regarding this release – guys, you’re the best!